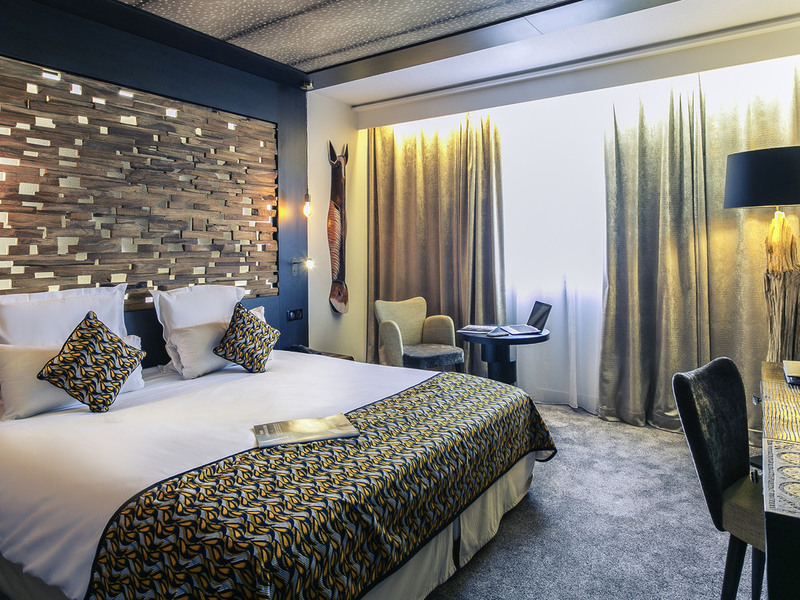 Situated just 500m from the airport and 20 minutes from the city centre, the Mercure Bordeaux Aéroport is an ideal destination for business events as well as for family breaks. It has a great range of services for business meetings, and comfortable rooms with décor themed around the 5 continents. There is plenty of opportunity to relax here: take a moment to unwind on our restaurant terrace or by the outdoor pool. The Mercure Bordeaux Aéroport offers a superb range of services, including 750m² of meeting rooms, free Wi-Fi, two-way airport shuttle service, a fine dining restaurant offering local specialities, terrace, outdoor pool and free secure parking. Choose a Standard Room or Superior Room with a wider range of services. You can travel from East to West thanks to the different decor on each floor. Our restaurant, which can accommodate up to 120 people, invites you to enjoy a relaxing atmosphere from Monday lunchtime to Friday evening. Relax in the Le Lindbergh bar with friends or between meetings, and enjoy the sophisticated leather-and-marble surroundings.